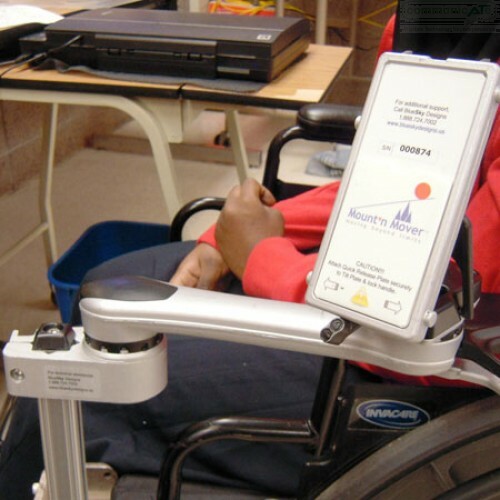 The Mount’n Mover is a versatile and accessible wheelchair mounting system that can be customized and changed, according to needs. 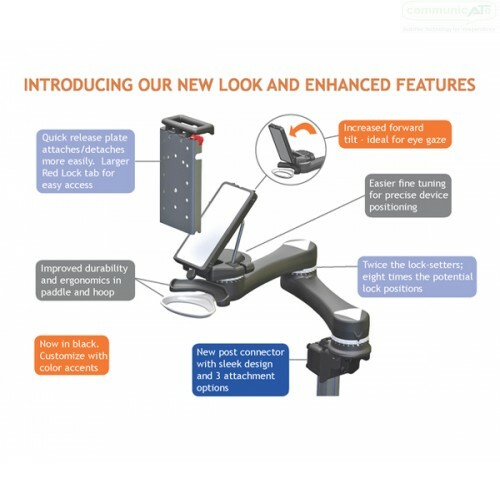 The NEW Single Arm module sits atop a vertical pole and has 2 joints with 24 locks per joint. New and Improved 2016 version now shipping! 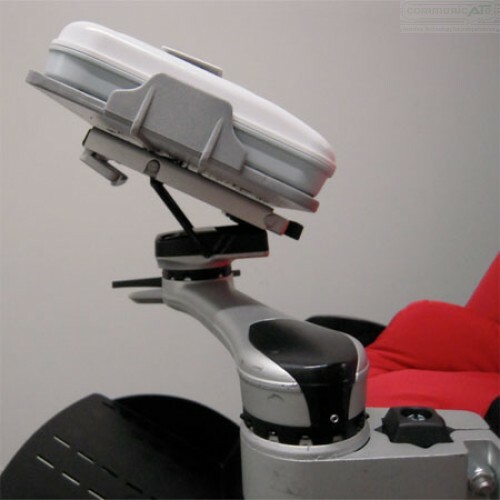 This Single Arm module sits atop a vertical pole which is attached to a wheelchair, a floorstand or clamped to a desk. 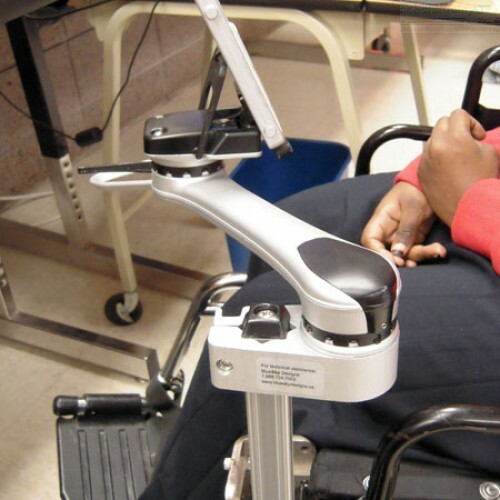 The Single Arm, with one 7.5” long arm, offers flexible, but somewhat limited positioning when compared to the Dual Arm. It offers significantly more reach than the Tilt’n Turner.. 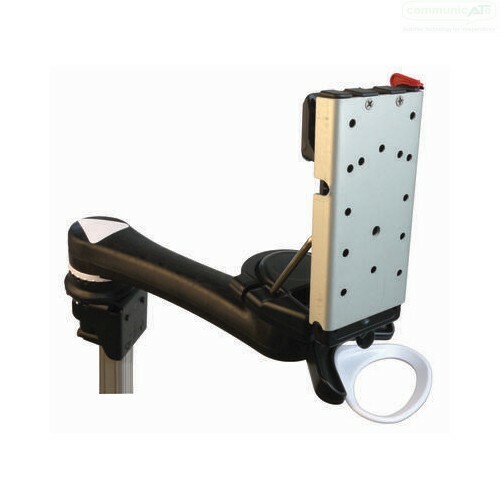 The Single Arm Mount'n Mover module can be purchased by itself or in conjunction with other Mount'n Mover accessories to create a Mount'n Mover Kit just right for you. 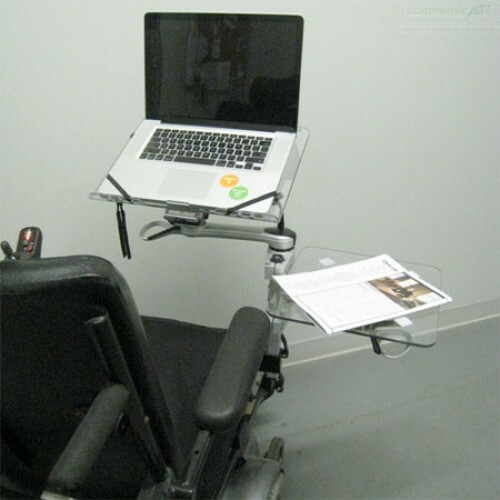 < 500 g of force required to unlock, the force required to move the arm varies with device weight. Adjustable friction screw can manage the force required to move the arm.